The town of Monument unanimously approved four resolutions pertaining to water at its most recent board of trustees meeting. To establish a contract with El Paso County Water Authority and make the name change to Pikes Peak Regional Water Authority. To participate in the Colorado-Wyoming Project Participation agreement. To sign on the Super Ditch Project Participation agreement. To sign on the Southern Delivery System Project Participation agreement. The Board of Trustees also approved the resolution for the Super Ditch Participation Agreement. The Lower Arkansas Valley Water Conservancy District is considering a plan to lease water used for agricultural purposes to cities. The town of Monument has been part of the project for several years. The final resolution approved was the Southern Delivery System Project Participation Agreement. 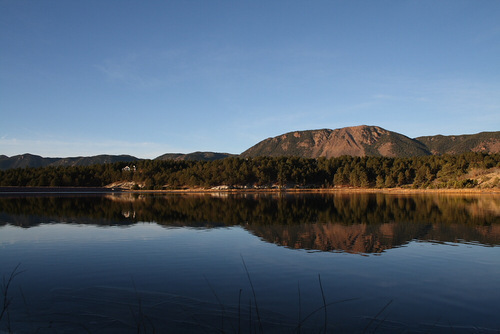 The project would allow members to negotiate, as a group or individually, the delivery of water through the SDS with Colorado Springs Utilities. Fishing at the lake will be prohibited and the lake will be blocked off during the “chemical reclamation” of the lake, which will continue until the project is completed and the lake restocked at an unspecified later date. However, the park’s restaurant, cabins, lodge and RV spaces are to open and available for the remainder of the season. Robb said during a Thursday interview that “soft side” tents would not be allowed at the park during the near future, due to the fish kill possibly attracting bears. He also stated that the fish kill process could possibly take as long as 30 days or as few as 14. 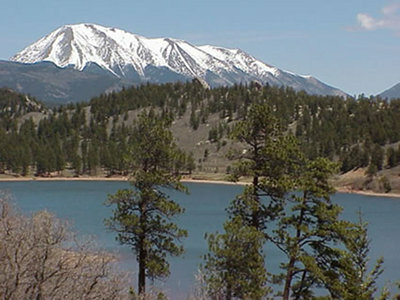 Colorado Division of Wildlife (CDW) officials informed the city in November 2007 that white suckers, a type of fish alien to the lake, comprised an overwhelming majority percent of the lake’s fish population to the detriment of the more-popular trout. It was theorized by the CDW that the white suckers may have been introduced into the lake by fishermen illegally using them as live bait. The CDW had been stocking the lake with extra trout as a temporary means of dealing with the alien fish. In November 2007, CDW officials had suggested three more permanent options for dealing with the White Suckers. The first involved doing nothing and allowing the White Suckers to continue dominating the lake. The second option had involved introducing a natural predator of the White Suckers to the lake. The third option involved dumping large amounts of chemicals into the lake, killing all the fish and then restocking it with the desired species.